Below you can view properties listed on our website that have 4 bedroom. I have a lovely 5 bed house it comprises of kitchen , lounge and a ECHA on the ground floor . Two singles a double on the middle floor and a double and a master on the top floor . The master has an en-suite. There is a spacious family bathroom on the middle floor. A good size back garden with shed and there is parking for two cars . 3 bed semi detached front and back garden new kitchen bathroom main bedroom sharps bedroom suit. New windows top of new addington. Quiet road. 3 monutes from biggin hill. Need a 4 bed my 9 yr old daughter has medical and sleep issues and disabled cant share with her 17 yr old sister. Need from new addington to sanderstead. Big 3 bedroom 3 story house, downstairs toilet. First floor has nice size kitchen, massive living room ( separated to make 4th bedroom. 2nd floor has a bathroom, small box room ( still big enough for double bed. A double bedroom with hallway space and airing cupboard. 3rd floor has a double bedroom with hallway space. Both gardens are a nice size. I got 3 bedroom house with large back garden and driveway.pinner ha52jw. Secure tenancy.right to buy. Semi ditached house also got garage. Very nice area was living for 19 years. As kids grown up need 4 bedroom house in matter of urgency. Well presented 3 bedroom house Ladywell. I have a lovely 4 bed terraced house in the heart of Bow, Central to everything, all amenities local. 15/20 min walk to Olympic stadium, 20/30 min walk to Westfield shopping centre. 2 mins from Roman rd market, 10 mins from Victoria park. Love my house and neighbours are nice just lived here all my life need a change and fresh start. 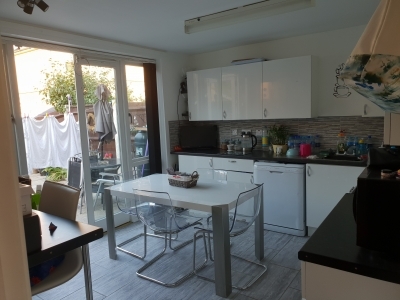 I have a end semi detached three bedroom property with one reception, one bathroom, kitchen and a huge back and side garden.School, park, shops, food place s and bus stop just across the road. Looking to swap to a large three bedroom or a four bedroom with two reception. I have 4 bedroom town house with small garden. 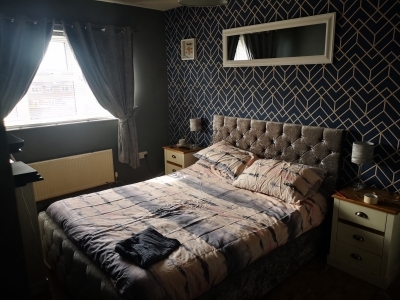 I have a lovely 4 bed house in Rothley lovely area very quiet area we have 3 toilets in the house 1 downstairs 1 upstairs and en suit in main bed room the kitchen is huge very big.